When I recently enthused about discovering Nicolas Rhea's Constable series, and bewailed the fact that there was only one at my library, Charlotte at Charlotte's Library suggested D. E. Stevenson as good "English comfort reading." I found a few at my library and started off with Miss Buncle's Book. I love it! A mixture of P. G. Wodehouse, Miss Read, and Mary Roberts Rinehart's Miss Tish books. Happily, my library system has a few more to feed my new obsession. Thanks Charlotte! I bought a boardbook version of the companion book, Over in the Jungle, for our library but never had time to examine it thoroughly. The art is gorgeous. Created out of polymer clay by Jeanette Canyon, there are exquisite patterns and designs included in every different creature and background. From a distance, the pictures blend into colorful and cheering art, while a closer examination shows the intricate detail. I particularly like the millefiori-type work on the seahorses. There is additional material explaining more about the different sea creatures pictured in the book and coral reefs in general. The author has included a section on using the book in storytimes, with specific actions for the rhymes, and the artist talks about how she creates her clay art. Verdict: An excellent book for ocean storytimes or a clay craft program. Children who like to trace details in illustrations will also enjoy this. My third big summer reading program is over! At least, this is the third of the performers/programs I selected myself (we have four programs with performers selected by the system. I had Linda Wendt come and demonstrate early medieval instruments, mainly wind instruments. I was a little worried about this; I'm trying to get more performers/programs for older kids, but I knew a lot of younger kids would come and I was worried about squirmies. My worries were completely unfounded! Linda presented a fascinating program, demonstrating tons of different instruments (pictures will be up on the library blog later this week) and giving little bits of history and funny stories. The kids were spellbound - mostly younger elementary age kids and they sat still for almost an hour! We had about 40 people come and I, personally, would like a crumhorn for Christmas this year. The plump and perky little penguin is back - this time with dreams of being a soccer star! In his first adventure, Sergio Makes a Splash, Sergio discovers the joys of the ocean (not to mention little fishies). In his second story, Sergio fulfills his dream of playing soccer through lots of hard work and encouragement. I was a little disappointed by the wish-fulfillment of the ending. The loser-works-hard-and-becomes-a-star-and-saves-the-game-at-the-last-minute plot is pretty overdone in my opinion. But Sergio is such a determined little penguin that I can't help cheering him on. The art has the same color scheme of oranges and blues as in the first book. It has a modern but traditional feel; lots of clean edges and some digital effects as well. 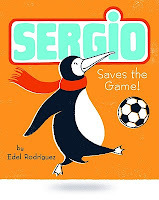 Verdict: Fans of penguins, sports, and underdog stories will cheer as Sergio saves the game! How do teachers do it? Every summer (well, last year and this year and presumably in the future) I visit the new kindergarteners at summer school. I do storytime (frogs for Summer I, water/oceans for Summer II) and a craft. And by the time I get to the 4th or 5th class of 20 kids....I am totally hoarse. So how do teachers manage to talk over 20 noisy, exuberant, whiny, excited kids all day every day? Please impart to me your secret. and we make wide-mouthed frogs! 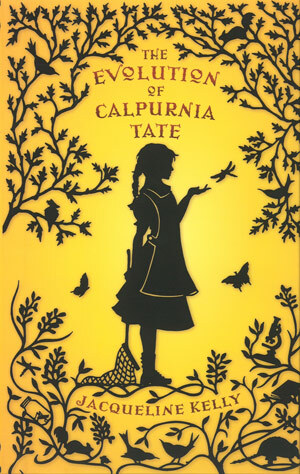 After devouring The Cabinet of Wonders (review forthcoming), I decided to read the other silhouette-cover book on my library shelf, The Evolution of Calpurnia Tate. While my main emotion on reading this story was heartfelt gratitude that I no longer live in Austin and have to endure Texas weather, I also enjoyed the characters. There's been quite a bit of buzz about this, so I don't think much explanation of the plot is needed. Basically, Calpurnia Tate, only girl in a family of seven boys, explores the natural world with the help and friendship of her grandfather and tries to discover where she fits in turn-of-the-century rural Texas. What most fascinated me about Calpurnia and kept me reading was that she is such a completely rounded character. She's intelligent, but not a genius, curious, but not precocious. She makes mistakes in her scientific investigations, takes shortcuts, and doesn't always feel like studying. In other words, she's a twelve-year-old interested in science, not a miniature adult in child's clothing. Although she can be selfish at times, she sees her family's viewpoint. She's also, and this is especially well-done, historically accurate. While she wants a different life than the traditional one planned out for her, she's not a modern character in old-fashioned clothing. She doesn't see clearly how her life could be different and she suffers many disappointments and setbacks. There are also funny bits, essential to any story. Verdict: This won't be for everyone; many kids won't be interested in the historical setting and slower pace of the story as well as the natural observations, but I'm glad I bought it for our library based on the reviews and I plan to promote it strongly to several kids who I think will enjoy it. Pamela Service's new beginning chapter book series, Alien Agent, is all of the above and more! 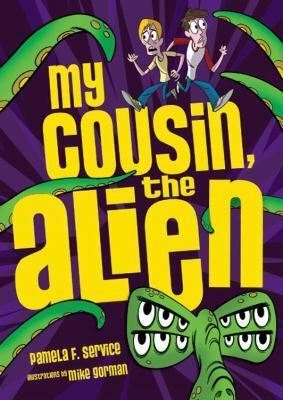 Despite having read the second book in the series, Camp Alien, first, I was kept guessing all the way to the end of My Cousin, the Alien, the first title in the series. The characters' voices are authentic and hilarious, and the fast-paced action will draw in even the most reluctant reader. The black and white illustrations add a wacky dimension to the story, but there's serious moments too. I can't wait to see a whole new generation discover Pamela Service! They're gonna love her! Verdict: These books are consistently popular at our library and I read each installment with delight and can't wait to pass them on to the kids. They're especially popular among third graders, as several teachers have used the series as their read-aloud book. Highly recommended. Second day of summer reading! 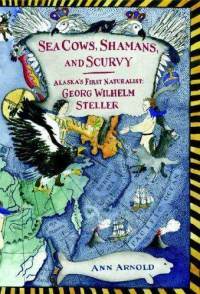 This middle-grade nonfiction is a fascinating history of the life and work of Georg Wilhelm Steller, a German naturalist who traveled with the Russian Kamchatka expeditions and was the first naturalist to explore Alaska. The descriptions of native plants and people was excellently balanced with Arnold's explanations and Steller's own quotations and the story of Steller's journey to and shipwreck in Alaska was gripping. There are numerous sketches by the author throughout the book, showing the various animals, plants, and geographies. The drawbacks - I would have liked to see some of Steller's own drawings and I found the maps very confusing (then again, I find maps of my own town confusing). Also, although I find the stories of explorers and scientists from the 1700s fascinating, especially when they are as well-written as this one, I have difficulty thinking of kids who might share my enthusiasm. Verdict: An extremely interesting book; if you have an audience for it, buy it! First day of summer reading! This is one of the times I am soooo glad our library is only open from 10 to 2 on Saturdays! It was a madhouse but very successful. The magician I hired was a huge hit and we had about 75 attendees for that program, which is very good, especially considering we were competing with the city-wide rummage sale and bike safety day. I haven't counted my summer reading registrations yet, but I think we signed up at least 100 - mainly elementary age students but middle schoolers seem to be making a much stronger showing this year. Summer reading begins! I am completely, absolutely ready! Sort of. Note to self - do not start massive weeding of the juvenile fiction section the week before summer reading. I have checked circulation stats on hundreds of books. Discussed hundreds of books with our director. Shifted, dusted, and reshelved hundreds of books with my aide. And, finally, deleted, marked, and discarded hundreds of books. The juvenile fiction section looks lovely - and it's great to be rid of books that haven't circ'ed since 2003 - or more (I found one that last went out in 1960!). The shelf displays have been filled, the new book shelf is organized, the registration bags are ready, the column has been covered with paper. So, technically, my aide and I are ready for summer reading registration...it's the parts after that. My storyroom is a mess (did I mention we had the carpet cleaned last week?) and I'm not really ready for storytimes next week - I'll be doing toddlers as well as preschoolers starting on Tuesday since my colleague is away. Oh, and I'm visiting 100 kindergarteners at summer school on Wednesday. But it's time! Improvisation, flexibility, enthusiasm, and wonderful books await! I'm not sure how I feel about this book. On the one hand, it has an almost juvenile feel, especially in the descriptions of the aliens and their illustrations, as if a tween wrote it. On the other hand, the writing is more polished and mature and that juvenile feel gives a very authentic voice to the 14-year-old narrator. I didn't find it as funny as some reviews said it was, but the author manages to describe an older teen girl/younger teen boy working together realistically and it really works in the story. But parts of the plot feel kinda pedestrian, especially the evil guy behind the scenes. 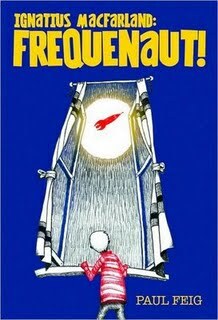 The idea of frequencies is similar to Diana Wynne Jones' parallel worlds in the Chrestomanci universe, but Feig's evolution makes this a new and interesting fantasy concept. 3. I really don't like digital art. Then, I started hearing more buzz about it and when I saw it at my neighboring library, decided I would take a look. Sara The Librarian and I tend to buy different things, so we check out each other's collections to see what we're missing. And I loved it. The illustrations aren't the lifeless, flat "art" I've seen before - they glow with life and color and perfectly express the dark night, full of imagination. And the story is perfect, not soppy or cliched. This is a new and exuberant riff on an old idea. 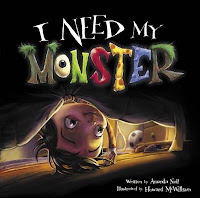 I can't wait to add it to my collection and pass it out to the kids who want a "really scary" picturebook. Verdict: Perfect for kids who like shivers with their bedtime stories. Highly recommended. This book was a disappointment. 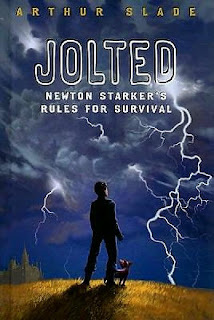 Newton, the main character, is extremely unsympathetic. Whiny, arrogant, and spiteful, even his gradual change into a better person at the end of the story leaves the reader cold. 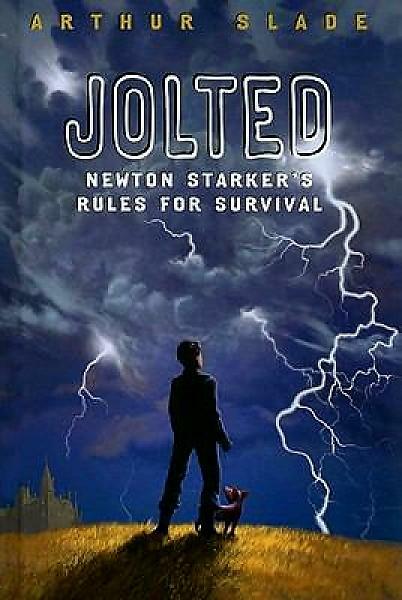 His new friends, Violet and Jacob, are one-dimensional characters and no reason for their interest in the extremely unattractive Newton is given. The construction of the plot is confusing and haphazard; cooking recipes and excerpts from the school's survival textbook litter the bland plot and the whole structure of the school itself is extremely vague. There are a few moments of humor, but on the whole readers looking for the promised adventure/survival story won't be placated with a few gruesome insect-eating scenes and a miraculous pig. Verdict: I purchased this on the strength of the description and reviews and was disappointed. I've only gotten a few kids to read it. I'm clearly not alone, as the hardcover is already out of print. I shouldn't have liked this book - there is very little action, it's rather creepy, and the main character, Allie, never actually solves the problem and it has quirky characters. But...for some reason I really liked it. I think mainly because of Allie. She's a very real and strongly formed character. She's not ashamed of her intelligence and interest in the world around her, but she can see clearly enough that she's not perfect. Allie talks about the various adults involved in the ghost hunting expedition with a kind of dry but pleasant wit. She's a believable and layered character. I'll be looking for the rest of this series just to find out more about Allie. 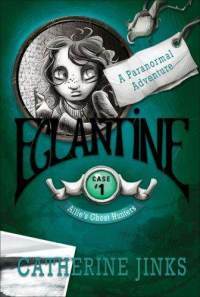 Verdict: An attractive and quirky series, might appeal to middle grade readers interested in paranormal phenomena. This is the best recycled crafts book I've found yet. First, the book itself is eco-friendly. It has an intriguing cut-out cover, which grabs attention without being a pain to librarians trying to cover it! 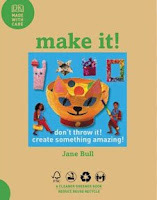 The book begins with an explanation of recycling and its importance and what kind of materials can be used for the crafts and for recycling. The crafts are divided into four types of materials - paper, plastic, metal, and fabric. Each section includes a page about the material, where it comes from, how it's used, and how to recycle it. Paper crafts include folding boxes, paper pots/bowls, weaving, and art. Plastic crafts include a wide variety of small and easy crafts, including things to do with bottles, bottle tops, and misc. small bits of plastic. Metal crafts include mobiles and models. Fabric crafts include stuffed animals, rag mats, purses, and cushions. One of my favorite parts of this book is that each craft includes recycling instructions for the basic materials. Having a huge stash of kids' old crafts is just as bad as a huge stash of recyclable material! Plus, you can definitely have too many little bits of plastic - no matter how cutely they're glued together to make something else. Verdict: A great source for craft and recycling ideas, highly recommended. Welcome to Nonfiction Monday! Please put your name and a link to your post in the comments and I will add them throughout the day. Mary Ann Scheuer at Great Kid Books has reviewed A Life in the Wild by Pamela Turner and is offering a giveaway! Patchwork of Books has Our Powerful Planet.